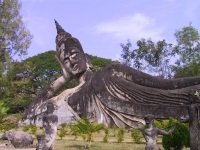 Laos' lush landscape and serene temples are a feast for the senses and a balm for restlessness. 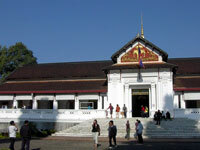 Visitors can expect to press pause, reset and dissolve their cares in the company of solemn monks and friendly lay-people. 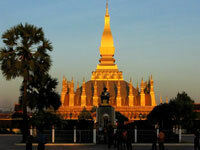 Vientiane and Luang Prabang are the most popular stops for tourists, though the entire country has retained a gentle grace within Southeast Asia's frenzy of development. Pristine waterfalls, caves of Buddhist statues, ornate stupas, and a meadow full of ancient, mysterious stone jars are all part of the experience.